Best of Houzz Customer Service 2018! theCAVE is a design led studio providing innovative, practical solutions to a variety of challenging commissions. We work with the very best people to form strategic partnerships capable of tackling all kinds of projects. We believe in longevity of design, we do not aspire to design which is wilful or fashionable. Fashion is temporary by its very nature, style is permanent. Renovation Planned? Free Site Visit! Kimble Roden Architects Ltd is a talented design practice based in the North West. The directors Edwina Kimble and Emma Roden have a history of running large scale residential and commercial projects as senior figures in prominent city centre practices. They have experience in delivering high-end design projects which has been recognised through industry awards. This level of experience has now been applied in their own practice, bringing a high level of expertise and design quality to all scaled and types of project they undertake. Unsure how to start your Home Design? At Pride Rd Architects, we know what it takes to turn a house into a home. A property into a sanctuary. We turn your ideas into architectural plans. We specialise in designing the kind of bespoke architecture that says something about you, your family, your lifestyle and your individual needs and tastes – on a budget that suits you. 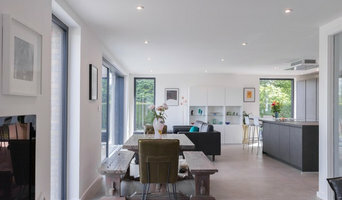 Pride Rd will work closely with you to take the stress and confusion out of your design and build project, with experience and technical expertise to help deliver an affordable dream home with no compromise. In short, we care because you do. If you would like to contact me, please email me directly lisa@prideroad.co.uk as my houzz messages can end up in my spam folder! What would better living mean to you? – Is it inspirational architecture that is a delight to both live and work in? – Or a building that is warmer, more comfortable and healthier? – Is it user friendly spaces which are tailor made for you? – Or the flexibility to change as your family grows? – Is it architecture that provides value for life? For us, great architecture is all these things and more. Do you have a Grand Designs dream but worry you won’t be able to turn this into reality? Does the prospect of keeping track of project costs keep you up at night? Or are you daunted by the prospect of working with builders to deliver your dream project? We believe good architecture is a team effort. That’s why we’re on your team from day one: - We’ll guide you through the process to get the best outcomes from your project. - We’ll also manage your budget as if it were our own to help you get the most from your investment. – We’ll always do our best to meet you at a time and place convenient to you. – We’re RIBA Chartered & ARB registered architects. – We offer 3 service packages, Bronze, Silver or Gold, tailored to your exact needs. Our aim is to use our creativity to transform our client’s lives. Architecture is, above all, about people. We aim to create buildings in which people enjoy living and working. Commissioning an architect to undertake a major construction project can also be daunting. We aim to make the process as seamless as possible. We guide you through the full process from design, to budgeting, to planning and then construction. Whether your project is a new build or a refurbishment we work closely with you. Do you have a difficult plot? We are experts at gaining planning for difficult sites including new, green belt dwellings using NPPF Paragraph 55 and tricky backland plots. We work with the Passive House standard and are members of the Passivhaus Trust. Our work is primarily with enlightened clients in and around Sheffield or Oakham, but we are happy to work further afield. You need better quality space, more space, more comfortable space, space that really works for you and will adapt to your changing needs. Here at iarchitect, we listen to you, we ask lots of questions so that we understand you, then we create design solutions for your space, that meet your specific needs. To quickly reach effective, beautiful and innovative solutions for you, we design initial layout ideas collaboratively. We offer Home Design Workshops, when we will sit with you around your table, with mugs of coffee and rolls of tracing paper to hand, and explore your options to create up to three solutions for your space. Contact us by phone or email us now to book your Home Design Workshop. Let's get your project off to a great start! i-architect is a bespoke design practice led by chartered architect Jane Leach. Jane specialises in helping homeowners turn cold historic houses with outdated layouts into warm modern homes that suit their lifestyle and sense of style, while retaining their period character and being kind to the planet. We deliver architectural services on small to medium sized high quality design projects including; extensions, remodelling, conversions, new build, conservation and eco-refurbishment. We offer services for projects with a construction budget range of 50k-£500k. We are is a hands on design lead Architectural practice based in Staffordshire with over four decades of experience and expertise in innovation and design, working with a wide range of private residential client including works to listed buildings and those sited within Conservation Areas. Gagarin is an award-winning RIBA Chartered Architecture practice, specialising in housing, one-off houses and building refurbishment. We have a strong track record of working with listed and historic buildings, but also enjoy working with less precious buildings. 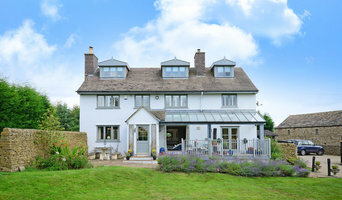 We've undertaken many residential projects from small, crafted extensions to substantial remodelling and new builds. We can provide architecture, interior, landscape and furniture design services. Do get in touch for a free initial discussion. Hough Architecture is an Architects Practice based in Sandbach, Cheshire. We work on projects in Cheshire and around the United Kingdom. Our work is developed in collaboration with our clients and other professionals, to design buildings with a strong sense of place, a rich materiality and a sense of craft, driven from the buildings historical, social and cultural contact. Get in touch today to discuss your 2018 project. Progressive is an architecture practice based in a northern town. We are independent minded, creative and approachable. We take our lead from our clients, and our first question is always: "How can we design what you want, and then improve on this?" Maybe you want a modern building in old surroundings, maybe you want it really quickly, maybe you want to maximise the amount and quality of space in an existing building. Whatever development you want, we’ll work persistently and intelligently in pursuit of the best results. We are an RIBA chartered practice, and we are also Passivhaus certified. We work on buildings of all scales and types, from large commercial schemes to individual house refurbishments. We also know a lot about timber construction, having been manufacturers and installers of timber frame, SIPS and oak buildings. If you’ve got a project that needs designing, why not get in touch? Orange design studio is a visionary architectural practice based in mirfield, west yorkshire. They focus on pushing the boundaries of their clients design brief whilst delivering cost effective and technically executed projects. We are a professionally registered architectural practice. We believe that well designed and expertly built environments have a positive effect on how you feel, behave and learn. Helping conscientious individuals with professional architectural design and construction delivery of projects. We work with you to create great buildings - saving you time and money. WHO DO WE HELP? ► Home owners who understand the value & benefit of employing a professional ► Professionals, trades & suppliers in the construction industry ► Property developers ► SME businesses expanding or upgrading their premises. HOW DO WE HELP? ► Provide clients with better understanding of requirements & how to achieve them ► Creative problem solving ► Clear & fast communication with all stakeholders & team members ► Easy to understand architectural design & drawings ► Negotiate the maze of local authority approvals ► Control costs up front ► Construction delivery with contractors ► Handover & snag resolutions. Building design & construction delivery experts with over 20 years-experience we can provide a range of solutions tailored to help individuals with their building projects. Services include: ► Full architectural design from basic concepts to technical working drawings. A good awareness of ‘buildability’ ensures attractive buildings are created with high technical performance. ► Preparation & submission of applications for Planning, Building Regulations, Listed Buildings, etc. ► Project management services are also available that include obtaining competitive prices from builders, arranging a standard building contract, overseeing the project during construction, certification, cost & quality control, site visits & construction queries. ► Co-ordination of design team consultants, contractors and sub-contractors. ► Specification writing, site meetings & reports. ► Measured building surveys & production of existing drawings / 3D models. High quality, extremely clear, thorough drawings & information. This means it will be quick & easy for you & the rest of the team to understand something. Maximum impact in minimum time. This also means that prices will be accurate with less errors on site, the build time will be reduced & therefore, you should save money. One of the experts providing design & project management advice at various construction events such as Grand Designs Live, London + Homebuilding & Renovating Shows, Harrogate & Birmingham. If your renovation is more than a simple benchtop replacement or roof re-tiling job, then it may be time to find an architect in New Mills, Derbyshire, UK who can manage your project from start to finish. Depending on the architecture firm you hire, the scope can span from planning sustainable design into your renovations, to selecting furniture and even interior finishes. An architect is often the first person you hire for your project. Before taking steps to find an architect in New Mills, Derbyshire, UK, ask yourself what you want to achieve from your renovation or home construction. Do you want to improve the liveability and sustainability of your home, or simply expand? What style of architecture do you prefer? Once you have established your motivation, research architects that have completed similar house designs in your New Mills locale and within a comparable budget to yours. Ideally, your New Mills, Derbyshire, UK architect will be involved in all phases of the design process, from the initial concept to the completed construction. Your architect may be needed to select and hire Derbyshire subcontractors (e.g. builders, engineers and landscape architects) just as they may need to negotiate contracts with stakeholders. A good client-architect relationship will ensure they are your biggest advocate along the way during construction. Find residential architects on Houzz. To find the best New Mills, Derbyshire, UK architect for your home design project, narrow your search to find professionals in New Mills, Derbyshire, UK. Then browse their latest projects and read reviews. You can also look through photos of projects to find an interior architect or designer who has worked on a project similar to yours.